Brand New: Ready, Aim, Appropriate? In January, BBC America launched a new, complementary icon to complete a redesigned identity for the channel that has brought us little marvels like The Office and Footballers’ Wives to America. Designed by broadcast-specialized agency, mOcean (pronounced “motion”), the new icon is a big, bold, red-white-and-blue “Bulls-A” (get it? Bulls Eye?) 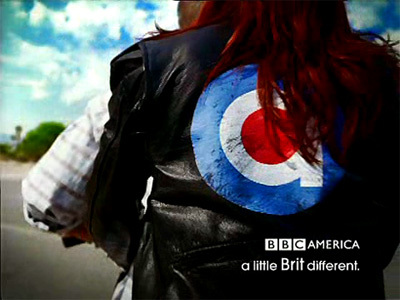 that complements the recognizable three-square BBC logo giving the American channel its own personality and attitude with the continued (visual) support of its British counterpart — and lest we forget that, the new tag line is: “A little Brit different”. The new icon is bold, simple and recognizable; it emphasizes the a-for-America in a digestible way that doesn’t knock you over the head with Americanness; the use of red, white and blue, while obvious, is a perfect element to play up and exploit since it will probably be another 500 years before two countries with the same colors in their flag share a major TV channel; and, while I have never used this as a measurement for succesful identities, BBC America has, absolutely, the best favicon in the whole world wide web. 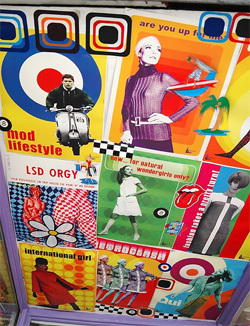 However, the icon may not be entirely original. 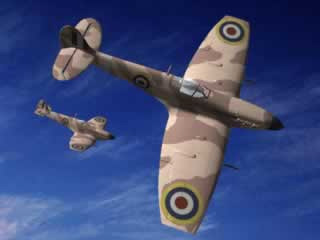 The British Royal Air Force has been using the “Roundel” since 1915 and the Mod Lifestyle — simplistically: a bunch of kids in the 1950s and 60s worried about music and clothes in scooters (apologies for the simplification) — appropriated the symbol which then The Who and Ben Sherman marketed to its full potential and became ambassadors to the movement as well as the roundel. 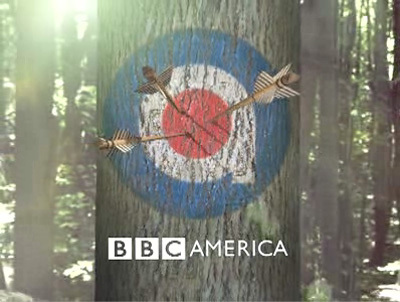 Whether all this informed the new BBC America icon remains unclear and undisclosed. 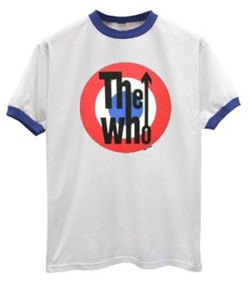 And, ultimately, perhaps unperceived by the American audience. Right on target. 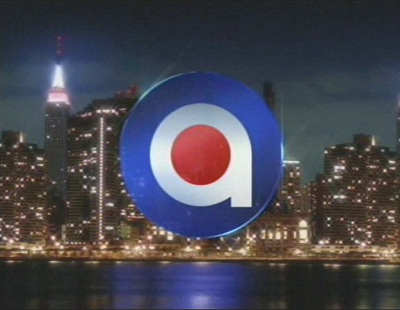 \n\nIn January, BBC America launched a new, complementary icon to complete a redesigned identity for the channel that has brought us little marvels like The Office and Footballers’ Wives to America. Designed by broadcast-specialized agency, mOcean (pronounced \"motion\"), the new icon is a big, bold, red-white-and-blue \"Bulls-A\" (get it? Bulls Eye?) that complements the recognizable three-square BBC logo giving the American channel its own personality and attitude with the continued (visual) support of its British counterpart — and lest we forget that, the new tag line is: \"A little Brit different\".